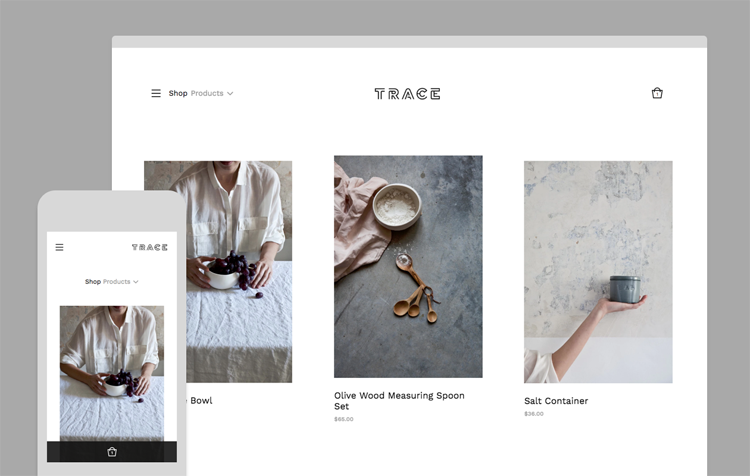 Minimal and professional, Big Cartel's Trace theme is easy to customize, and now available in your admin. Showcase featured items in the Home page slideshow. Give a general tour of a few categories, or highlight new products by placing them at the top of the product list. 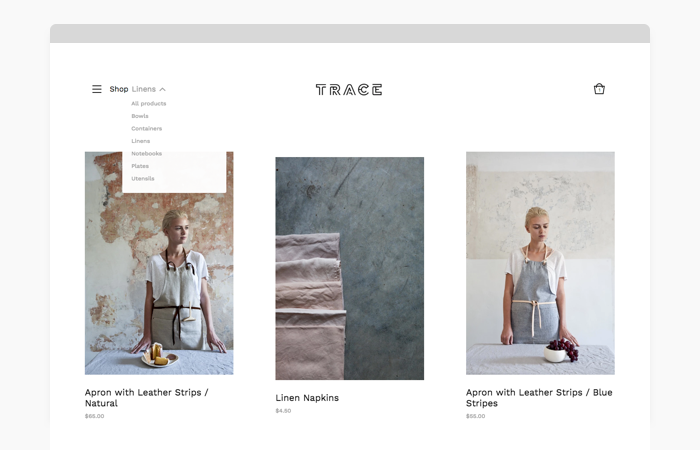 Customers can quickly find what they're looking for by using the category navigation. Products are easy to find, with fewer clicks. On the Products page, you control if the product names and prices are aligned to the left or center, underneath the thumbnail image. This theme has all of the features you expect with a clean and simple look. The thoughtful design touches encourage customers to stick around, shopping for more items they'll love. Take a look around this demonstration store, then hop into your admin to try it on for size.